It so happens that the current incumbent Jacques Doremieux has just taken retirement, this last May. He was appointed in the position in 2015 and approaching age 65, this year has been the natural point at which to retire. His legal cases will be well taken care of. There is a very experienced magistrate taking up the role who currently has four years’ experience already as Procureur General at the Court of Appeal in Caen – the second largest Metropolitan area in Normandy. Chosen by the Sovereign of Monaco, Sylvie Petit-Leclair will be based in Monaco from September where she will be formally inducted in her role ready to begin on October 1. No doubt you would like to know something about her. She is married with a daughter and 63 years young. 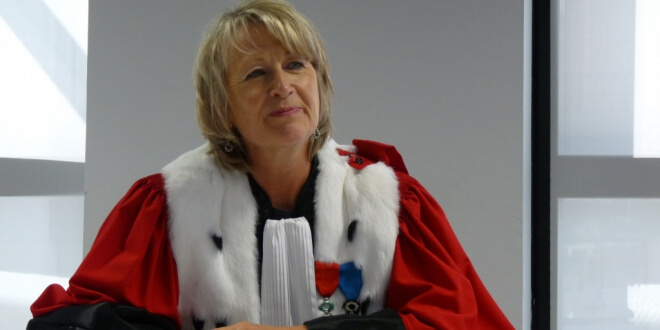 Sylvia obtained an advanced degree, namely Master of Law at the University of Nancy, and has had a full career’s experience in matters of Justice in Paris, Chateaudun, Sannois and Vanves and also as deputy Procureur General for France at the High Court in Versailles. A distinguished international jurist Sylvie Petit-Leclair has had experience for many years as a magistrate liaising both with Holland (1909-2003) and with the U.K. (2007-2010). Her international experience also extends to dealing with the European Union on behalf of France as a member of Eurojust from 2011 to 2014. Jacques Doremieux will be missed in his retirement and at the same Silvie Petit-LeClair’s accomplishments and experience will adapt well to the role of Procureur General for Monaco.